Creator! The Old Testament starts off with that definition of God. The mythology of a story of creation is the core of every civilization and people throughout the world. Something, defined in many different ways, created the world we live in. the Judaic-Christian story includes the story of the paradise-lost, of how we lost our right to a peaceful existence in our universe. Jesus said things a little differently. Jesus claimed that paradise is still with us, but we have failed to see it. The paradise claimed by Jesus is not the same as the idyllic one described in the bible, but is a state of living in paradise, that is in joy and happiness, despite the turmoil of the world as we see it. Jesus said: “Nor will people say, ‘look, here it is’ or ‘there it is’. For you see, the kingdom of God is within you (or in your midst).” (Luke 17:21). The creative force we call God sings us anew every moment; in fact 10 raised to the 43rdpower times every second. (that is 10 million, trillion, trillion, trillion times a second!) We are always and evermore made new, forever for eternity. As is the entire universe, and any other universe that may exist. These ‘wild’ claims of Jesus threw everyone for a loop, and they continue to create total confusion among Christians. I have rarely, if ever, heard sermons or talks on these statements, for they are truly ‘too good to be true’. Creation is an eternal process, and stems from the very nature of God: Love. For God does not love, God IS Love itself. We have a hard time defining anything we cannot see and touch as life or a being of some type; but the nature of God stems from the essence of God, as defined by the Trinity: a relationaship. Love is not just an emotion; but love can be and should be the foundation of our consciousness. Love IS the foundation of our core being, since everything came from the Word, who is Love, that is, a Being of Relationship. Everything in the universe, including our smallest quark that forms our physical body, is Love being spoken. The ongoing creation is the speaking of Love in action; creating Love everywhere in the universe. As the gospel quote above states:“And nothing was created except through the Word”. Nothing! Nothing!! That statement embodies the deepest mystery of the incarnation possible. The entire universe is the incarnation of God in the physical forms we can measure and see and stand in awe of; it is life itself. As the quote above states: “The Word gave life to everything that was created”. Now life as defined here is not the classic definition of life, which is a structure that is ‘self-replicating’, that is, a structure that replaces itself with identical or very similar structure. This requires what we call a ‘DNA’ structure, of which there is only one type on our planet. (Since we have never found life outside of our planet, that is the only form of life we know.) Life as defined by the quote from the prologue of the Gospel of St. John unwittingly talks about the activity of the atoms and molecules of all physical structures, whether they have a DNA or not. Everything, from the smallest grain of sand to the largest mountain contains electrons, atoms, and molecules. We do not know the structure of Dark Matter, but whatever it is, it contains fundamental moving forms that create mass. And energy, the fundamental essence of the universe, real or dark, is by its nature a relationship. And all of this is Love made manifest. It is in this life-giving activity that the physical universe is created. Next we will talk about the still more challenging creation, energy. How does energy fit into this; especially since everything is energy? Oh my Lover, the one that feeds me energy and life, the force that is my all, I place myself into Your Spirit that I may become more in Your Spirit: a creation of Love. I fail so often and do not see what is right in front of me for what it is, instead I see through a cloud dimly only what I want to see, not what is in truth. I ask that You breathe life into me, life that clears the clouds that I may be more conscious of Your Life in the universe, especially in the forms You have placed in my life for me to see You in action. I fail, but with Your aid I rise again to become more as Your light on earth. We are bound in the music of life where we dance and weave within that glorious melody, or what some call God. 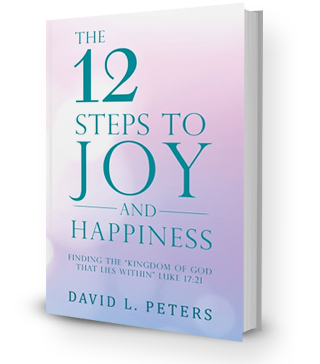 Now, God has said that we are the very image of God (Genesis 1:27), and as images of God, we have the inborn ability to have Joy and Happiness forever present in our life. 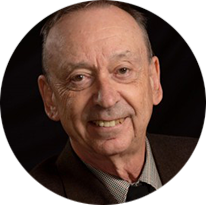 The author, David L. Peters, is an octogenarian whose life has always been filled with joy, regardless of outward appearances. The wonders of the Kingdom of Heaven is everyone’s birthright, if you know how to let your Creator and the Universe enter your spirit. Jesus put it succinctly: “The Kingdom of God lies within” (Luke 17:21). The Kingdom of God, Paradise, Heaven: these lie within you, right now, waiting for you to only turn and see, and join in the dance. Paradise is right within us, but how do we unlock the door to this wonder of joy? This book lays a path open that the author has followed for almost 80 years, starting as a young boy in rural Ohio, and it operates as advertised. No matter how things look in life, how bad it seems, all one need do is look deeper within and find the joy that can fill life: life is good! The life of abundant joy and happiness is yours for the asking. Dip your toe in the living waters, and taste the Beauty of God that is awaiting. Click on the “Learn More” button for further information.